In late 2018, financial markets tumbled on concerns regarding rate hikes, trade tensions and slowing global economic growth. The biggest victims in that market sell-off were growth stocks, which essentially required low rates and continued healthy global growth to sustain their valuations. Those things were being called into question in late 2018. As such, many of the market’s high-flying glamour stocks fell 20% or more. Sentiment has changed sharply in 2019. Stocks had a huge, decade-large rebound rally the day after Christmas. Stocks have remained on an uptrend ever since because the Federal Reserve has sounded a much more dovish tone regarding rate hikes, U.S. and China trade talks are progressing well, and the U.S. economy appears to still be quite strong. All in all, the risks which plagued markets in late 2018 are easing in early 2019. As they have, financial markets have rallied, and growth stocks — which were the biggest losers in late 2018 — have been among the biggest winners in early 2019. This trend should continue. As bullishness returns to the market, money will continue to flow into growth stocks, and growth stocks will outperform. 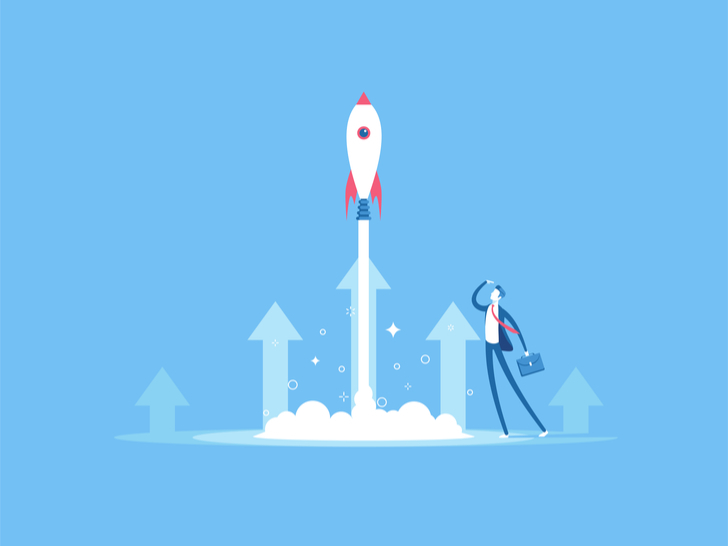 With that in mind, let’s take a look a 10 growth stocks that could win big as markets rebound in 2019. One growth stock that should perform well in both 2019 and over the next five to 10 years is Canadian based e-commerce solutions provider Shopify (NYSE:SHOP). The long-term growth narrative supporting SHOP stock is quite promising. E-commerce is the future. More than that, decentralized e-commerce is the future. Today, the e-commerce market is dominated by a few big players. That won’t remain the case forever. Eventually, everyone and anyone in the retail world will have a digital footprint, and that means that over the next several years, there will be a huge influx of new digital retail operations. Shopify provides the building blocks for those digital retail operations. As such, Shopify’s addressable market should grow by leaps and bounds over the next several years. Considering Shopify is the head-and-shoulders leader in this space, huge growth in the addressable market will translate into huge growth for the company. Reasonably speaking, huge growth at the company will lead to huge gains for SHOP stock. The stock is already up over 25% since bottoming on Christmas Eve. Thus, a near-term pullback is healthy here and now. But that pullback should be bought, because the stock will ultimately head way higher in a multiyear window. Next up on this list is one of the more controversial names on Wall Street, but nonetheless one that represents huge upside potential in a multiyear window. 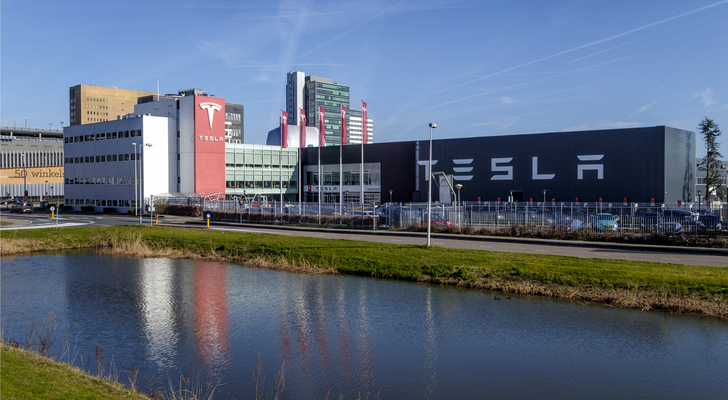 There has been no shortage of controversy surrounding Tesla (NASDAQ:TSLA) over the past several quarters. But in the big picture, Elon Musk has remained at the head of the company, Model 3 production and delivery ramp has been wildly successful, the company has managed to turn a profit, international expansion is progressing as planned and cash burn issues are no long front and center. Those are all positive developments. As such, Tesla stock is currently at the upper tend of its 52-week trading range. This strength in Tesla stock will persist in the long term. At its core, this company is at the center of a huge electric vehicle growth narrative that will inevitably and perhaps rapidly sweep across the globe over the next several years. As it does, Tesla will announce more vehicles with better prices, and the company will grow its market share dramatically. Revenue growth will huge. Profit growth will be huge. Tesla stock will march higher. Tesla stock is up 16% since Christmas Eve. That’s a pretty big rally. Much like Shopify, a near-term pullback is warranted. But, also like Shopify, that pullback is a buying opportunity, since long-term growth trends imply massive multiyear upside. One of the biggest losers in late 2018 was payments processor Square (NYSE:SQ). But, that also means that this stock has an opportunity to be one of the biggest winners in 2019. 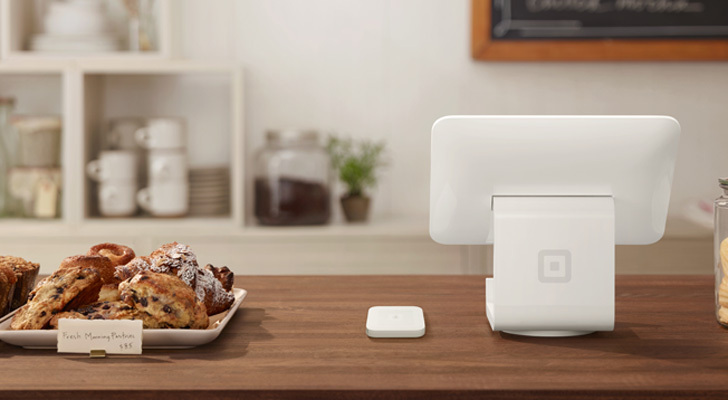 Square is at the heart of tomorrow’s commerce world, which will inevitably be cash-less and dominated by card and digital payments. Right now, Square dominates on the physical card payment side of things. The company is famous for its payment processors, which allow essentially any retailer with a smartphone to accept card payments. Go to any mall or street market. You will see Square machines everywhere. The proliferation of these payment processors will continue over the next several years as cash becomes increasingly less used. But, that’s just one peg of this growth narrative. The other peg has to do with e-commerce. For a long time, Square didn’t really have an e-commerce presence. Until now. The company recently launched an in-app payments system that looks very much like PayPal (NASDAQ:PYPL). In so doing, the company has plunged itself into the e-commerce growth narrative too, and only added more firepower to the long-term growth narrative. Square stock is up over 30% since Christmas Eve. That’s a huge rally. A pullback is warranted here. But, much like the other stocks on this list, pullbacks in Square are buying opportunities. 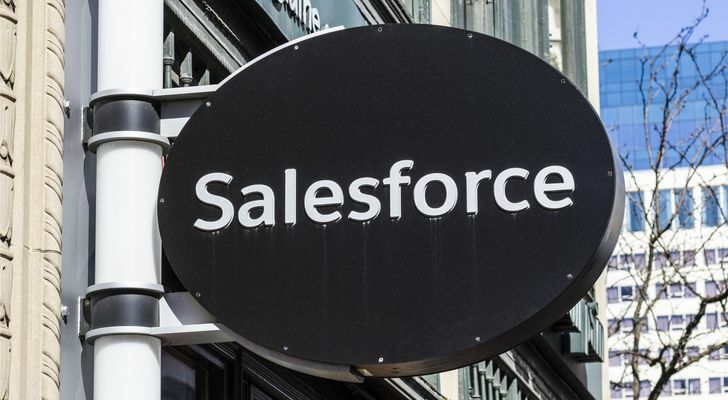 A discussion of big-growth stocks has heavy overlap with a discussion of cloud stocks, and if you were to have a discussion regarding cloud stocks, that conversation would likely be dominated by Salesforce (NYSE:CRM). CRM stock is truly at the heart of the cloud and data revolutions. Salesforce leverages data and analytics to deliver robust cloud solutions to enterprises that want data-driven insights on their customers. In this sense, the company takes data and turns it into insights via cloud solutions. That promises to be one of the most valuable processes in a world defined by Big Data. There’s a lot of competition in this space, but Salesforce has time and time again squashed the competition. Despite rising competitive threats and tougher laps, revenue growth at Salesforce has hardly slowed over the past several years. Back in 2014, revenues grew by 33%. In fiscal 2018, revenues grew by 25%. They are projected to grow by more than 25% this year. Resilient revenue growth in a secular growth industry implies that this company has huge long term potential. CRM stock is up 22% since Christmas Eve. But, it remains well off its all time highs, and technical indicators don’t scream overbought. As such, this stock has more runway to the upside in the near to medium terms. Programmatic advertising is the future of the entire advertising industry, and the company at the forefront of the programmatic advertising revolution is The Trade Desk (NASDAQ:TTD). Ads used to be transacted through individuals and firms. You call somebody, you discuss, you negotiate a price and then you have an ad. Now, ads are bought and sold by computers. This computed-powered ad buying is called programmatic advertising. It’s the future. Through leveraging AI and data, programmatic advertising makes ad buying and selling quicker, more convenient and cheaper than ever before. In this space, Trade Desk has emerged as a clear leader. But Trade Desk only has a $6 billion market cap. 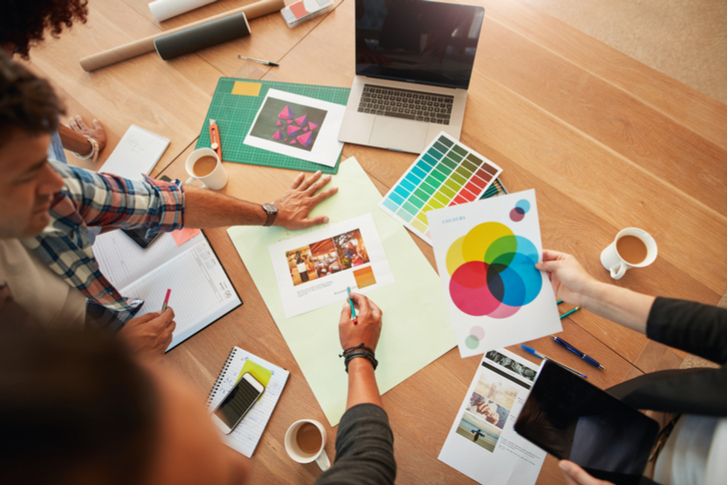 The global advertising industry measures in at $1 trillion. Eventually, all $1 trillion worth of ads will be transacted programmatically, and most of that programmatic spend will happen through Trade Desk. Thus, this is a small company attacking a huge market, and that implies huge gains ahead for TTD stock. Right now, the stock is up 27% since Christmas Eve, and is entering a near-term overbought position. Thus, a near-term pullback is likely in the cards. But, much like other pullbacks in this stock before, the next pullback will simply be a buying opportunity. Despite weakness in the stock, the long term bull thesis surrounding streaming giant Netflix (NASDAQ:NFLX) is only getting stronger every day. The Netflix growth narrative is all about two things: cord cutting and content. So long as consumers cut the chord and pivot to streaming, and so long as Netflix’s content is superior to content offered by streaming peers, Netflix’s subscriber base will grow. Prices will go up without churn, too, and margins and profits will explode higher. Those two trends are progressing favorably for Netflix. The cord-cutting trend isn’t slowing. If anything, it’s accelerating. Moreover, Netflix’s content isn’t getting worse. Again, if anything, it’s only getting better, thanks to recent hits like Bird Box and Black Mirror. As such, the two long-term growth trends here remain favorable, meaning that the long-term bull thesis on NFLX stock is only gaining credence and visibility. NFLX stock is up a whopping 52% since Christmas Eve. This stock has fundamentally supported upside from here. But it is technically overbought, and needs to cool off and consolidate before taking another leg higher. Among the biggest losers during the market sell-off in late 2018 was streaming player maker Roku (NASDAQ:ROKU). But the growth narrative underlying the company only strengthened in late 2018, thus implying huge rebound potential in 2019. Much like Netflix, there are only two trends that matter in the long run with Roku: cord cutting and competition. As stated earlier, the cord cutting trend is only accelerating. That means more streaming subscribers than ever, and more streaming services than ever, too. All those subscribers need a content-neutral centralized aggregation system to curate and access all those streaming services. As such, so long as consumers keep cutting the cord, demand for Roku devices will head higher. On the competition front, Roku has tons of competition. But, the company still commands 40% share in the streaming device market and 25% share in the smart TV market. 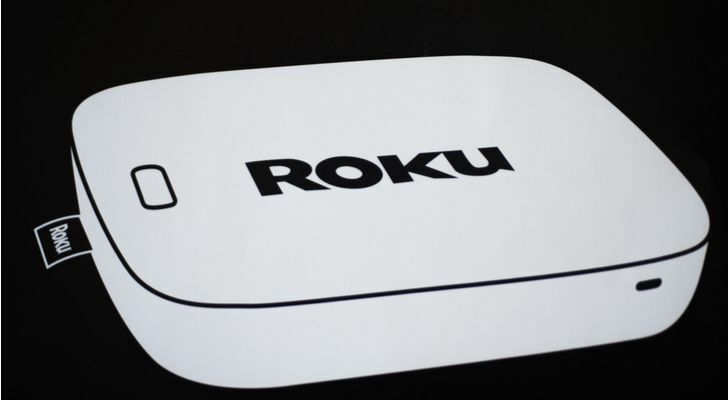 So long as the company can defend its market leadership position, Roku will continue to convert the lion’s share of cord cutters into Roku ecosystem users. ROKU stock is up nearly 50% since Christmas Eve. The stock needs to cool off and consolidate here. But, once that consolidation period is over, this uptrend will resume for the duration of 2019. While many other growth stocks remain well off their all-time highs, cloud giant Twilio (NASDAQ:TWLO) is right near its all-time high, and that’s a testament to the strength of this company’s underlying growth narrative. Over the past several quarters, Twilio has emerged as the uncontested leader in the rapidly growing and potentially huge Communication Platforms-as-a-Service (CPaaS) market. The CPaaS market largely consists of companies that are integrating real-time communication into their services. This market promises to be huge to continuous shifts towards cloud-based communication, personalized customer experience and digital engagement. Twilio is growing its customer base and revenues rapidly in this secular growth market. They also have a 95%-plus retention rate and very high gross margins. Put that all together, and this company has all the ingredients to be a big time winner in a long-term window. TWLO stock is just below all-time highs today. This resilience is impressive, and it means that the stock hasn’t rallied as much as the other stocks in this list over the past two weeks. As such, you don’t have any near term overbought conditions, and now could be as good a time as any to load up for the long haul. 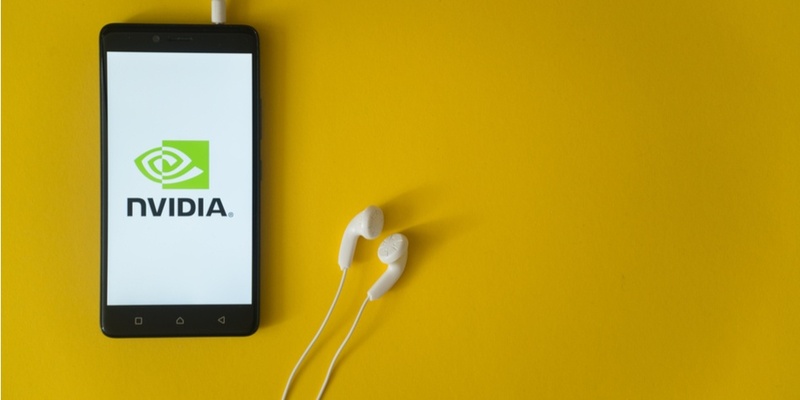 Once high-flying chipmaker Nvidia (NASDAQ:NVDA) saw more than half of its value wiped out in late 2018 thanks to near-term inventory, growth, and margin issues. But, in the big picture, those issues are overstated, and NVDA remains one of the best growth stocks in the market. The growth narrative at Nvidia is all about AI and data. Recent numbers suggest there is absolutely zero slowdown in those businesses. All businesses related to AI and data, including the data-center and automated driving businesses, reported record numbers and huge growth last quarter. Instead, all the issues with Nvidia have to do with a pop in cryptocurrency mining demand that created inventory issues which will take time to work through. Nvidia will inevitably work through those issues. Once they do, the narrative will re-focus on this company’s long term growth drivers in AI and data. Those drivers have been very strong, are still very strong, and will remain very strong, given secular shifts towards data-driven decision making and automated technologies. So long as those drivers remain strong, NVDA stock will head higher. NVDA stock is up 20% since Christmas Eve. That’s a solid rally. But, the stock isn’t flashing any overbought signals. As such, it looks like this rally can and will continue in the near term. The world’s most valuable company — Amazon (NASDAQ:AMZN) — is also one of the market’s most attractive and promising growth stocks. We all know Amazon for its e-commerce and cloud business. 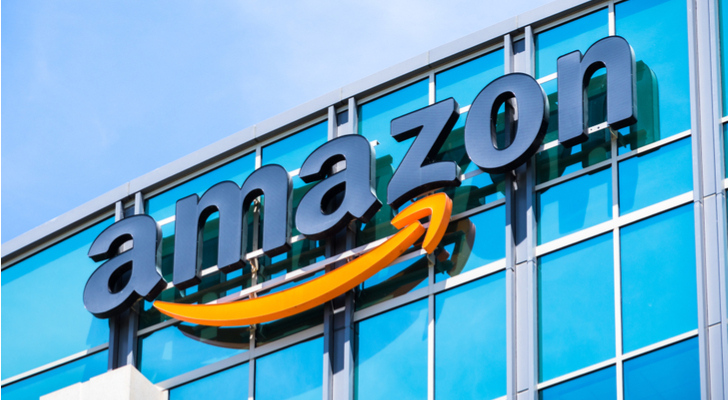 Between those two businesses, Amazon has a ton of long term growth potential as e-commerce becomes the global retail norm and cloud becomes the enterprise norm. But, that’s just the tip of the iceberg for Amazon. The company also has a $10 billion and rapidly growing digital advertising business with presumably sky-high margins. There’s the offline retail business, which started with bookstores, moved to Whole Foods and will eventually include thousands of convenience stores and potentially even Target (NYSE:TGT). There are also potential multi-billion logistics and pharmaceutical businesses in the pipeline. Between all these growth opportunities, it’s easy to see that Amazon is still in the early innings of arguably the market’s biggest and most exciting growth narrative. AMZN stock is up 20% since Dec. 24. But, it’s also still 20% off recent highs. Thus, while a near term pullback is warranted and healthy, this stock still has plenty of room to rally in a medium to long term window. As of this writing, Luke Lango was long SHOP, TSLA, SQ, PYPL, TTD, NFLX, ROKU, NVDA, AMZN and TGT. Article printed from InvestorPlace Media, https://investorplace.com/2019/01/10-growth-stocks-with-future-written-all-over-them/.